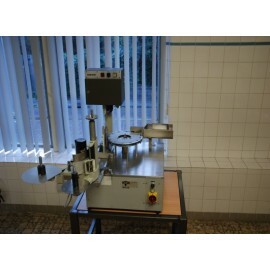 The Rota RE25 machine is an ampoule and vial label machine build in 1987. The RE25 has the option of semi-automatic manual insert, automatic labeling and out feet. It is suitable for ampoules according to ISO 9187. The machine is supplied with spare parts for filling closed top ampoules of 5ml and 10ml. We provide our Rota machine with the Herma label dispenser. Our machine is able to label 800 10ml ampoules an hour up to 1.500 2ml ampoules an hour. The RE25 offered by NAFVSM is in a good technical condition and can be used directly. During the labeling process the machine uses 220 Volt, 50Hz. The machines weights 125kg. Year of construction: 1987. Spare parts for filling closed top ampoules 5 and 10 ml. 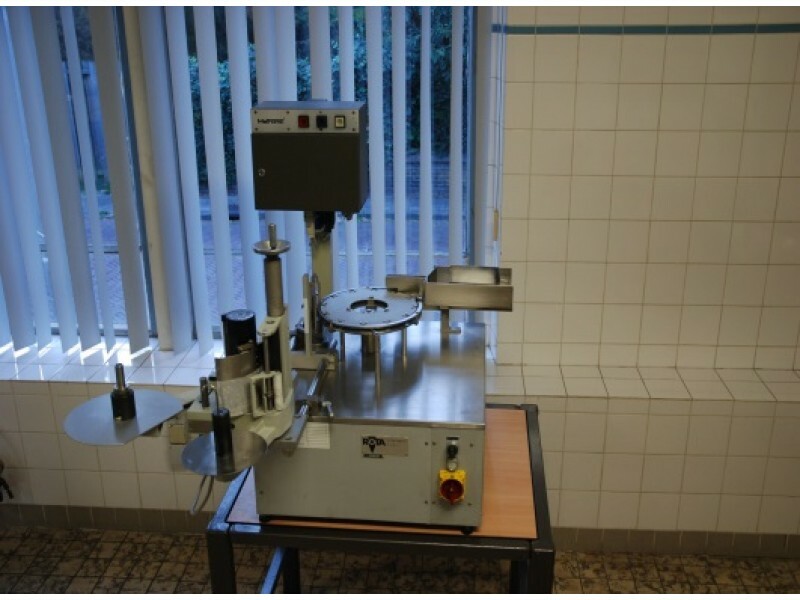 Speed of the machine: about 800 pieces (10 ml ampoules) till 1.500 pieces (2 ml ampoules) per hour. Noise level: unknown, but less then < 80 db.